No doubt, this weekend’s papers will be full of positive reviews of Eatwell and Goodwin’s book. It has been accepted by a major publisher, and the story with which it engages (the inexorable rise of the far right) has been a staple of press reporting for many years. Despite their book’s seeming length (344 pages), the text is in fact on the short side (c70,000 words) and can be read in a single sitting. There are few academic references, the language is simple, as indeed is the message. All the authors want you to know is that the far-right has been doing well electorally for some time, that its voters are normal people with comprehensible motives, and that its rise is therefore likely to continue, as they conclude with the book’s final sentence, “for many years to come”. If the authors have an antagonist, it is not the “national populists” (at pp 70-2 Eatwell and Godwin argue that the adoption by the latter of racialized welfare policies mean that they sit awkwardly outside the category far-right) but left-wing academics (“progressive liberals”). The latter share a series of muddle-headed (“biased”: p xiv) views about the populists. In particular, leftists wrongly think that the right’s support is restricted to the old, and that their ideas will die out because of their limited appeal to younger voters (p xxvi). “stifle important debates about immigration and Islam. For example, should economic immigration be closely linked to the receiving country’s economic needs, or should such immigrants have immediate access to benefits on the same terms as native people? Turning to Islam, should what many see as symbols of women’s oppression like the niqab be banned in public, and Muslim schools be expected to teach Western values openly and fairly?” (p. 74). 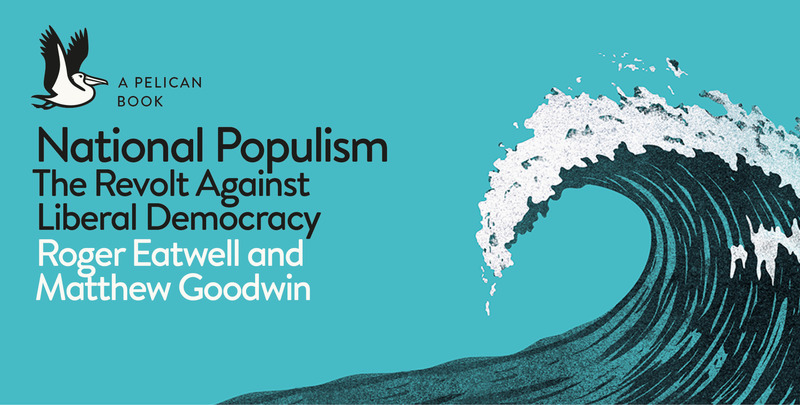 For Eatwell and Goodwin, the greatest danger to avoid is the tendency of liberals and leftists to restrict the expression of Populist opinions. Debate is sacrosanct. Yet no historian of migration would accept that “debates about immigration” have been “stifled” whether in Britain, Western Europe or the US. Rather, the media has been writing about migration fascinatedly, if not obsessively, for more than fifty years. Goodwin and Eatwell suggest that a discussion is needed as to whether countries should be allowed to limit immigration opportunities to prospective immigrants’ employment (“receiving country’s economic needs”). They seem to be unaware that this has in fact been the principle route of “economic immigration” to Britain for more than fifty years. You also have to wonder from where Eatwell and Goodwin have picked up the idea that there exist, in Britain, Europe or the US, large numbers of Muslims schools which teach prejudiced views hostile to Western values? In Britain we have a large and well-resourced bureaucratic infrastructure (Prevent) which monitors the views of Muslim teachers and students and dissuades or criminalises the holding of such opinions. The assumptions that Muslims are opposed to the West and that Prevent fails to curtail them panders to the alternative facts of far right propaganda. In the middle passages of the book, Eatwell and Goodwin confront the argument that anti-migrant sentiment is racist. No, they insist, it is rational. “By the end of the twentieth century … the US and much of Western Europe had witnessed large and often unprecedented waves of immigration which were also often more visibly and culturally distinct than earlier ones and which then accelerated during the next two decades of the twenty-first century as the ethnic transformation of the West reached new heights” (p 140). As a matter of fact, recent migrants to the West have been more different (ie blacker and more Muslim) than their historical predecessors. This explains today’s hostility. But, there is no objective reality to visual or cultural difference. For example, in the 1950s, during an epoch of Commonwealth migration, one of the favourite claims of far-right orators were that black migrants were so stupid, or so poor, that they were reduced to eating cat food from tins. Any rational person reading about such views sixty years later would grasp that this supposed visual and cultural “difference” was contained simply in the mind of the host society not in any actual behaviour exhibited by new arrivals. It is equally untrue to say that racial prejudice exists in a simple relationship to cultural or in particular colour difference. If that was right, then you would expect the greatest acts of racism in twentieth century Europe to have been directed against the blackest of minorities. But the Jews and gypsies of 1930s Europe were white. To argue that racism directed against Syrians fleeing from Assad is rational because they are Middle Eastern and therefore blacker than previous immigrants is bizarre; not merely in the context of German history (the Syrians of the 2000s are no blacker than the guest workers of the 1950s), but even more so in French or British history. Eatwell and Goodwin are, in fairness to them, experts in Politics not History, but if such analyses were expressed in a first year seminar on migration history, even a class of undergraduates would be baffled by them. The argument of Eatwell and Goodwin could be summarized down to a single sentence: the Populists must be heard. Very well, stated in that form no-one could possibly object to it. But the question they avoid is the harder one: when does one person’s insistence on speaking require another person’s silence? When does speech go too far? When is it that the right to insult or lie becomes objectionable? To those questions, the good Professors have no answer. Visual difference, by gum. How do they explain anti-Polish prejudice, or do they just skate over that one? I’ve seen it argued – albeit on a comment thread rather than in a book – that the big issue with Polish immigration is precisely the *lack* of visual distinctiveness; your honest White British worker can cope with a bit of diversity, but it unsettles him all over again to think that he’s looking at people just like him, only to find that they’re actually Foreign. Racism is protean.